• You can use it in 150 countries including Europe, Australia, Asia and many more worldwide destinations! • 2 USB Ports to charge devices so you don't need any other plugs when you travel. • High quality with over voltage protection. • Offers fast and efficient charging. Use this WorldSIM World travel adapter to charge devices such as tablets, mobile phones, camera's, speakers, and more! 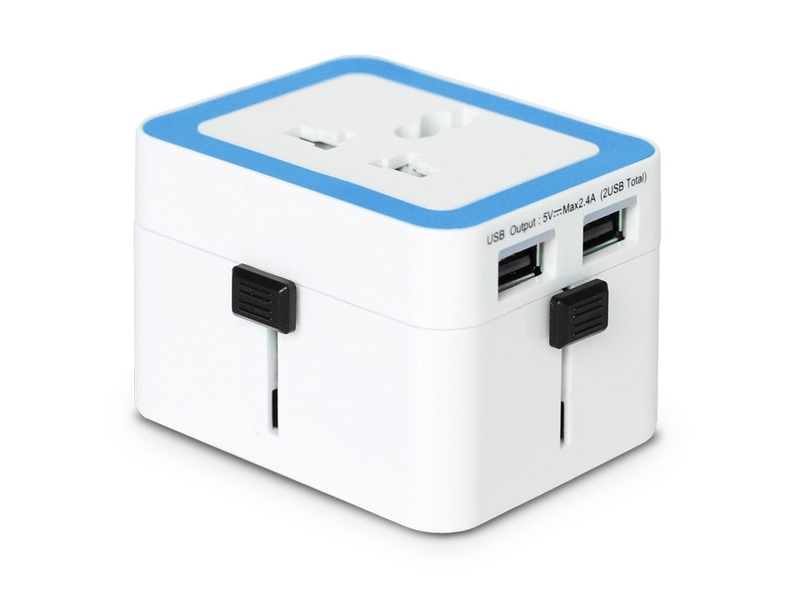 This world travel adapter also has 2 USB ports so you don’t need to bring any other plugs with you when you travel. Where can I use the WorldSIM World Travel Adapter?